I guess i broke some traces in the second pic, hadn't even realized they were there, Puck dead. 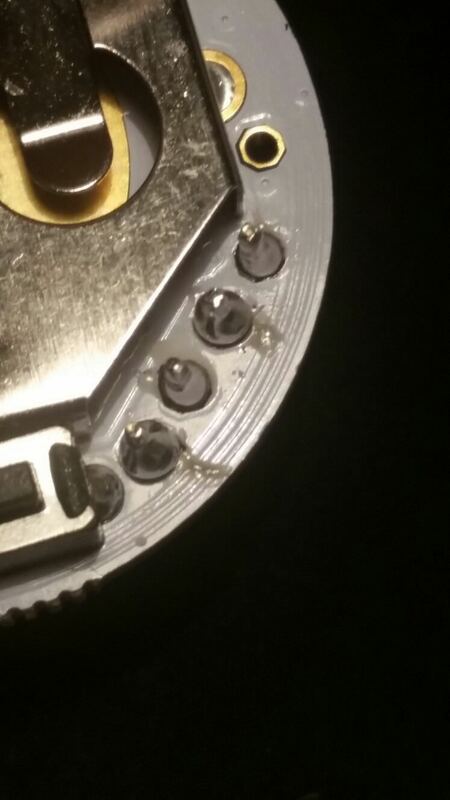 But I wouldn't know how I should have done this, any tips, any solder-less ways of contacting the pins? The line in the previous pic was just a bit of wax rubbish, but this bit below look pretty fatal.. 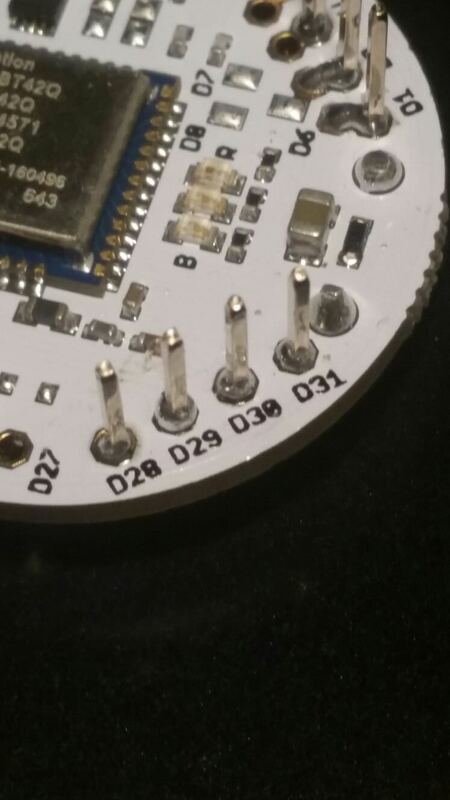 I am looking at solderless pins, but I might just have to risk another puck, not feeling like hammering those in..
That bit is the NFC coil though, so even if it was something that you broke while soldering, all it should do is stop NFC from working, but the rest of the Puck should be ok - it may be a red herring. Can you check for shorts between the GND and 3V pins with a multimeter? And maybe check the voltage across them when you have a battery plugged in? Hm, that doesn't look bad - like, I can't see for sure due to the lighting, but you should have to really work at it to damage the traces under the solder mask - and i don't see any other signs of excessive heat (which is usually involved when people damage things while soldering) or scraping - the ways you can cause problems while soldering something are pretty much bridging two connections that shouldn't be bridged (could you have done this somewhere? maybe between Vcc and Gnd? 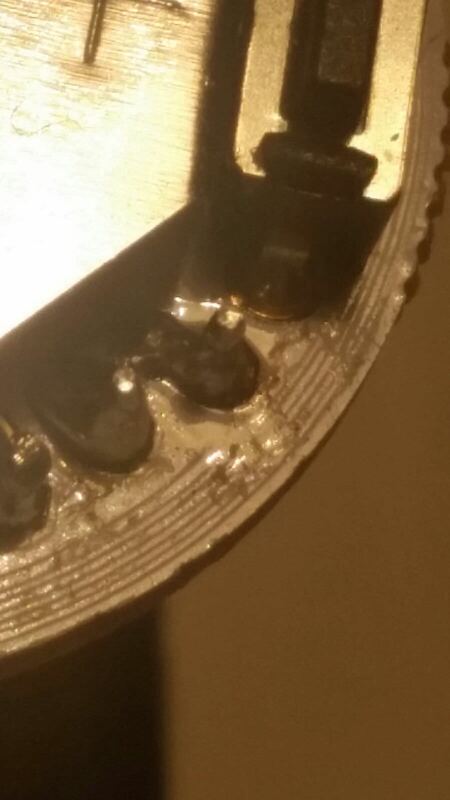 ), or getting the pads too hot for too long with a soldering iron that is set to too high of a temperature or isn't temperature controlled, or being rough with the soldering iron and scraping the solder mask off the top of a trace; it doesn't look like that happened anywhere here.